The 52X-5RZ concrete boom pump offers the optimal size and range for commercial and industrial concrete pouring projects. This powerful, highly advanced, five-section concrete boom pump is equipped with a 360-degree continuous swing boom for maximum flexibility and mobility at the job site, along with innovative X-style outriggers for superior truck stability in even the most challenging work environments, making it the ideal choice for reach concrete pumping. With our 52-meter concrete boom pump you’ll be able to meet any project demand and complete jobs more quickly and efficiently than ever. 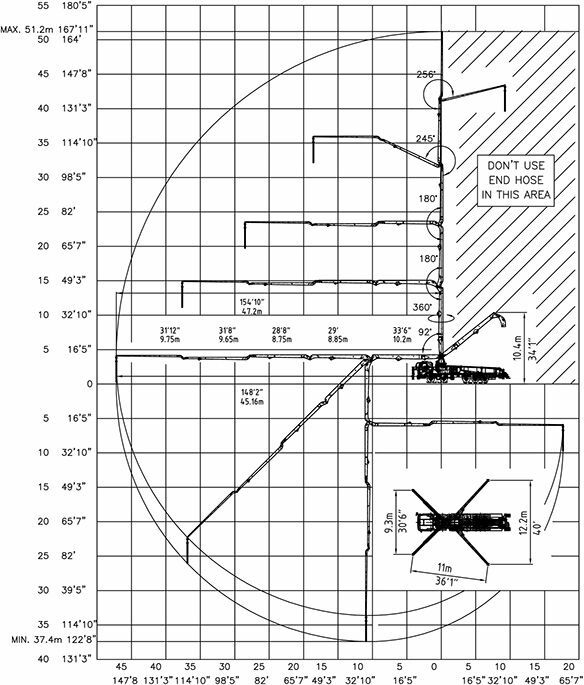 The impressive 52-meter (167’) vertical reach enables you to pour concrete from high elevations without spilling or creating a mess on the jobsite, making this model the ideal solution for reach concrete pumping. The substantial 47-meter (154’) horizontal reach of this concrete boom allows your operators to park your trucks on stable ground and extend outward to pour, which minimizes the risk of vehicles getting stuck or sinking in mud. 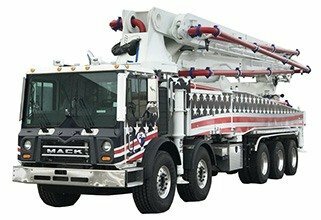 Numerous flexible chassis options make it easy to mount the 52-meter concrete boom pump on vehicles manufactured by industry leaders such as Mack, Peterbilt, Freightliner, Kenworth and Western Star. 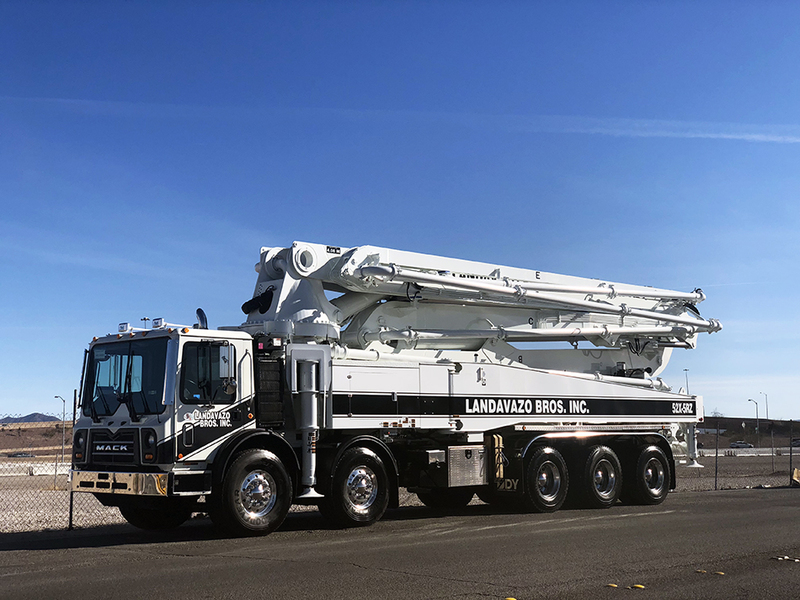 The 52 meter concrete boom pump only requires a five axle chassis due to its sleek and lightweight design. We manufacture this five-section concrete boom pump from high-quality steel and using advanced robotic welding techniques to ensure maximum durability with minimal maintenance requirements. The user-friendly HBC radio remote simplifies operation and increases efficiency, which saves time and boosts productivity. The closed-loop hydraulic system provides smooth operation in all types of working conditions.